JCR Property Services provides professional property maintenance and general contracting services for Developers, Property Managers, and Owners. When you utilize JCR Property Services' programs, you can focus on your core business in this challenging economic environment. We deliver the expertise, tools and resources you need to handle all your facilities’ management issues while realizing significant strategic benefits. Throughout the JCR Property Services website you can find detailed information about the Property Maintenance and General Contracting services offered. JCR Property Services is a fully integrated facility service company that is based on principals of economic sustainability and environmental responsibility. JCR Property Services provides cost effective solutions to a broad range of maintenance issues. We implement cutting-edge LEED certified operations and are the service provider for the only LEED certified retail development in the state of Arizona. 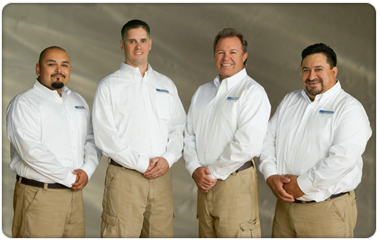 View a complete list of the property maintenance services offered. JCR Property Services has developed an organization that is well suited to operate in today’s competitive environment. We are Arizona state licensed contractors providing new construction and re-construction services to businesses throughout Arizona. View a complete list of the general contracting services offered. The JCR Property Services team is comprised of carefully selected individuals who exhibit professionalism, responsibility, dedication and a can-do attitude. Professionalism is the foundation the JCR team is built on. Every job is approached with an unmatched commitment to quality and excellence. Versatility sets JCR apart from its competition. JCR is equipped with the tools, skills and experience to provide a wide range of property maintenance and general contracting services. Dependability is what JCR Property Services is known for, delivering quality results and each client’s complete satisfaction, every time.